Cucina\1884 opens its doors and its kitchen to discerning diners. Jane Cook, Director of Cucina\1884 with Head Chef Mark Langton and Front of House Manager Matti Kiviniemi. 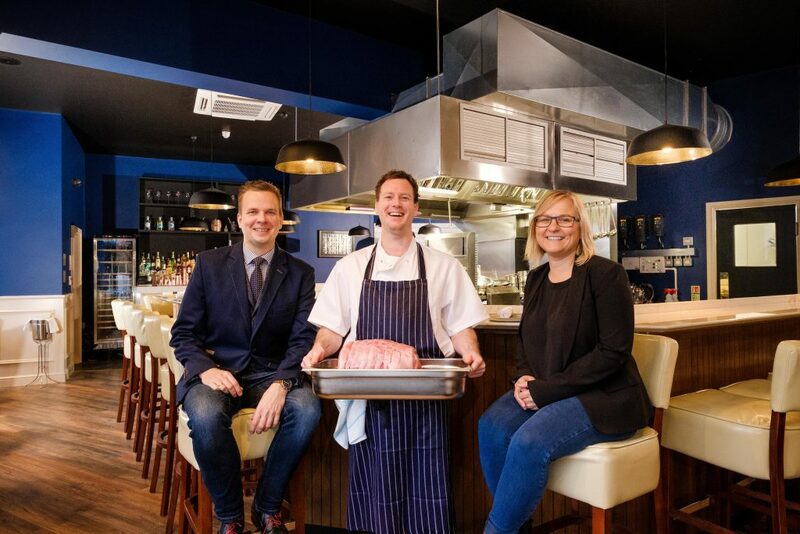 The latest addition to the award-winning 1884 Restaurants group opens its doors to the public today [Wednesday] as the company’s first venture outside Hull city centre. Cucina\1884 takes the acclaimed brand to Hessle, and a prime site on the corner of Ferriby Road and The Weir. Jane Cook, Director of Cucina\1884, said the test events held with family and friends at the weekend had put her team through their paces, and all are now eager to impress the diners. “The other restaurants in the 1884 group each set new standards when they opened and we have done the same. There was pressure from the start, and that intensified because we are in a prime location and we had a lot of people watching through the windows and looking forward to our opening. The company’s other recent venture, Steak\1884, opened last week as a reimagination of a Manhattan steakhouse in Humber Street, Hull. 1884 Wine & Tapas Bar, which opened in 2015 in Wellington Street West, at the corner of Hull Marina, is enjoying its busiest year yet and has just launched its Christmas menu. Cucina\1884 is different again. Jane has created 15 jobs with a restaurant which brings a mix of classic and contemporary Italian cuisine using local produce and authentic, imported ingredients. Be the first to comment on "Cucina\1884 opens its doors and its kitchen to discerning diners."